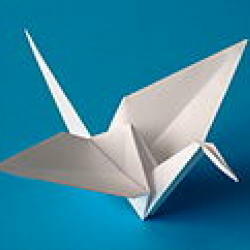 Giant-sized "VOTE KOMODO!" poster in downtown Jakarta. 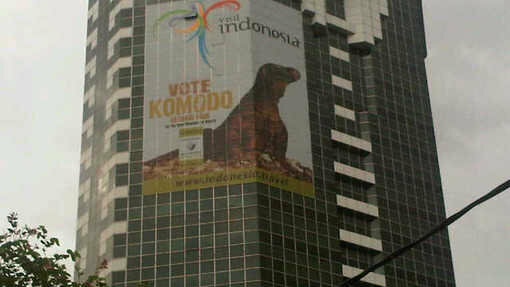 A giant-sized “VOTE KOMODO!” poster adds an extra dimension to a skyscraper in downtown Jakarta. Motorists and pedestrians gaze up at the enormous lizard that urges them to give their vote to Indonesia’s very own wonder in the New7Wonders of Nature campaign. There are some 4,000 to 5,000 living Komodo dragons in the wild. Their populations are restricted to the islands of Gili Motang (100), Gili Dasami (100), Rinca (1,300), Komodo (1,700), and Flores (2,000).